Looking for a job in Luna County New Mexico? This Luna County New Mexico job guide is a resource for job seekers looking for legitimate employment opportunities in the region with an emphasis on government positions, top healthcare employers, public school careers, and major job boards. Attention: Healthcare and education employers are found lower on this page and they include some of the largest employers in Lea County. Peppers Supermarket is always looking for motivated, friendly, and hard-working people to join their family. If you are interested in working for Peppers, please fill out the employment form on thier website. First New Mexico Bank offers employment opportunities with an exceptional compensation and benefits package and an environment that promotes professional development. Dollar General periodically hires for the positions of Sales Associate, Assistant Store Manager, and Lead Sales Associate. Big O Tires stores are individually owned and operated by franchisees, and each franchisee makes the staffing and hiring decisions for the individual locations. The Big O franchisees are always looking for new faces with experience and desire to serve Big O Tires store customers. Foxworth-Galbraith is one of the largest professional building material providers in the United States. Luna County is a great resource for browsing ongoing employment opportunities. During review there were open positions available that included Starmax Part Time Cook, Starmax Concession-Wait Staff-Bartender-Security, Starmax Part Time Bowling Lane Attendant, and Detention Officer. Visit the county jobs page frequently for updates. The City of Deming was hiring for the positions of Equipment Operator and Laborer on this review date. Check their site for current employment opportunities. Services presently offered by Ben Archer Health Center assure that the communities served have available the following general medical services: Comprehensive Dental Services, Primary Care, Health Education, and Social Services. Open positions may include Community Health Worker, Registered Nurse RN, Medical Assistant, Pediatrician, Scheduler, Nurse Practitioner, Social Worker, Dental Assistant, and Health Educator. Mimbres Memorial Hospital is a 25-bed inpatient facility with, outpatient, medical, surgical, diagnostic and emergency care for the southwestern New Mexico region. Here you may find employment opportunities such as Case Manager RN, Certified Medication Assistant, CT Technologist, ER RN (nights), Financial Counselor, HIM Tech, Licensed Practical Nurse LPN, MDS Coordinator, Microbiologist Tech, PRN Nursing Jobs, Nursing Home Business Office Lead, Phlebotomist, Physical Therapist PT, Respiratory Therapist, Per Diem Nursing Jobs, Respiratory Therapist Registered (Nights/Weekends), RN (PRN) L& D, Registered Nurse RN Cath Lab, Registered Nurse RN ICU, RN Graduate (Multiple Positions), Registered Nurse RN Med Surg Tele, Speech Therapist, Sterile Process Tech (Lead), and Telemetry Monitor Tech / CNA (ICU). Presbyterian Medical Services - Deming Health Center was hiring on this review date. Employment opportunities had included Medical Assistant, Medical Assistant II, Behavioral Health Clinical Services Administrator, and Business Office Supervisor. The New Mexico Department of Health (NMDOH) has an ongoing need for public health professionals, which includes nurses, social workers, informational technology personnel, and administrative and clerical personnel. Silver Health CARE is always seeking clinicians and support staff who share a commitment to providing the very best in patient care. Fresenius Kidney Care Deming periodically hires for positions such as Dietitian, Dialysis RN, and Patient Care Technician PCT. Obstetrics & Gynecology, NM OBG opportunity near Las Cruces! Deming Public Schools had a high volume of open positions available on this review date. Employment opportunities found had included Pre-K SPED Educational Assistant, SPED Educational Assistant, Culinary Arts Instructor Chef, Language Arts Teacher, Sign Language Interpreter, SPED Educational Assistant, Language Arts Teacher, Registered Nurses, Elementary Music Teacher, 1st Grade Dual Language Teacher, Crossing Guard, Special Education Bus Driver, Activity Bus Driver, Art Teacher, 1st Grade Teacher, SPED Teacher, Pre-K Educational Assistant, Dual Language NM PreK Teacher, 3rd Grade Dual Language Teacher, Elementary Music Teacher, and Elementary Art Teacher. Extended University of Western New Mexico University periodically hires for positions in Deming. During review there had been open positions for Student Worker and English as a Second Language (ESL) Instructor. Teach NM provides career resources for New Mexico school teachers and administrators. Follow the path to become a licensed teacher and secure a professional teaching position at a New Mexico school. Use the Online Portfolio for Alternative Licensure (OPAL) to complete an individual profile and upload your portfolio template and support materials for review by officials in your district, by independent reviewers and the Public Education Department. Deming-Luna County Chamber of Commerce is a great resource to use for exploring area businesses, event listings, and more. 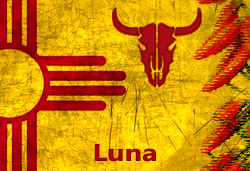 The Bureau of Indian Affairs may periodically hire for various positions in the Luna region. This Worklooker Las Cruces - Doña Ana County directory includes featured employers such as The City of Las Cruces, Anthony, Memorial Medical Center Las Cruces, Mesilla Valley Hospital, Mountainview Regional Medical Center - Las Cruces, Gadsden Independent School District, Las Cruces Public Schools, New Mexico State University NMSU Employment, Doña Ana Community College, Doña Ana County Sheriff's Office Careers, and more.